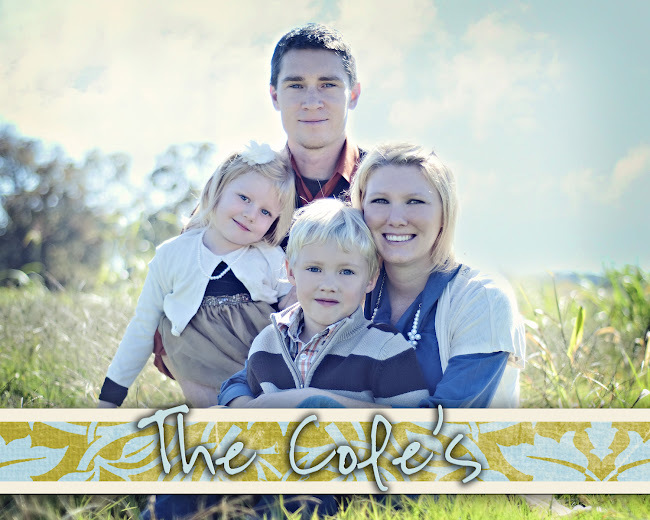 The Cole's: Where did the day go? Yesterday was THE BUSIEST day ever!! I got up at 6:45, took my shower and got myself ready. Of course Ariel ALWAYS decides to get up right after I get out of the shower so most of the times when I am getting ready she is sitting to the left of me on the bathroom sink vanity primping herself and chatting with me. I love those moments! Anyway, shortly after, Caleb got up and I got the kids fed and dressed for school. I loaded up the kids along with two packed lunches and school gear and headed to Caleb's preschool. Caleb had the most exciting day planned at school. His whole class of 11 students were going to Fire Station #1 in Bentonville! Not only that but they were all going to ride in the church van together with ALL their car seats! Talk about a treat! I had been asked to help chaperon but I knew that I didn't want Ariel tagging along since this was Caleb's field trip. So I asked my friend Mandy if she would mind watching Ariel for a few hours. She has a daughter Ainsley who is a year and a half older than Ariel, and Ariel LOVES her! After I dropped Caleb off at school in Bentonville, I drove to Centerton to drop Ariel off at Ainsley's to play. I had exactly 45 min to get from Mandy's house to Caleb's school, and I had to get gas and stop by my house to get my cell phone that I had forgotten before I left the house! I made it to the preschool just in time. I helped get the kids loaded and we were off! The kids had a GREAT time. Station #1 was just built late last year so everything was new and clean. I was SO amazed at how clean everything was...esp with a bunch of men living there full time! The kids asked questions and got the grand tour...including a huge living room with at least 15 recliners in it, which I thought was kinda humorous (I will show pics later)! I then helped get the kids back in the van and then we went back to school. I helped get all the carseats out and then I headed back to Centerton to get Ariel. Once I got there I visited with Mandy a few minutes while Ariel finished her lunch. Ariel and I then went home and I worked on a gift for a couple (The Walkers) that I took dinner to last night. Then it was time to get Caleb from school. When we got back from picking him up, I put Ariel down for a nap and got Caleb occupied with a coloring project while I spent some "me" time watching and episode of LOST. Then I had to clean up the kitchen and make two meals. One for the Walkers and then one for us. I started cooking around 4:30 and by 5:15 I had both meals made and my kids, Dan and I were all sitting for dinner. I left to go and take the Walkers their dinner at 5:30...in the pouring rain I might add! I got home at 6:40ish and spent some time with Dan and the kids. Then at 7:00, Leah and Mandy came and picked me up and we all went to the "Just Between Friends" consignment sale. There really wasn't much there. I got NOTHING for Caleb and but I did find three dresses for Ariel and I also found Ariel's birthday gift. It is a Loving Family dollhouse from Fisher Price and I got it and a full gallon size bag full of dolls and furniture for $30. 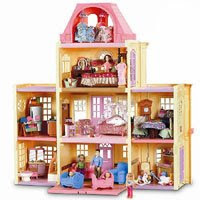 I had been looking at this doll house since her second birthday for her and they run about $70.00 for the house and then each room of furniture is around $15-$20. So, I think I got a good deal! I didn't get home until 9:00 and then I talked to Dan for a while and then went to bed. What a busy day! I will post a bunch of pics maybe later on today or tomorrow. Santa brought Ava that same dollhouse. She loves it!